It is difficult sometimes trying to cook for a family with so many different tastes & dietary needs. I try to eat healthy as often as I can. I cut out extra fat as much as possible, leaving out butters & oils, trading in regular bacon for turkey bacon and switching refined pastas & breads for whole wheat products. This works fine for me, but often leaves my husband missing his full fat options. One substitute he is not so keen on is turkey bacon in place of regular pork bacon. He loves his bacon. So this one is for you honey. Enjoy. Preheat oven to 350. 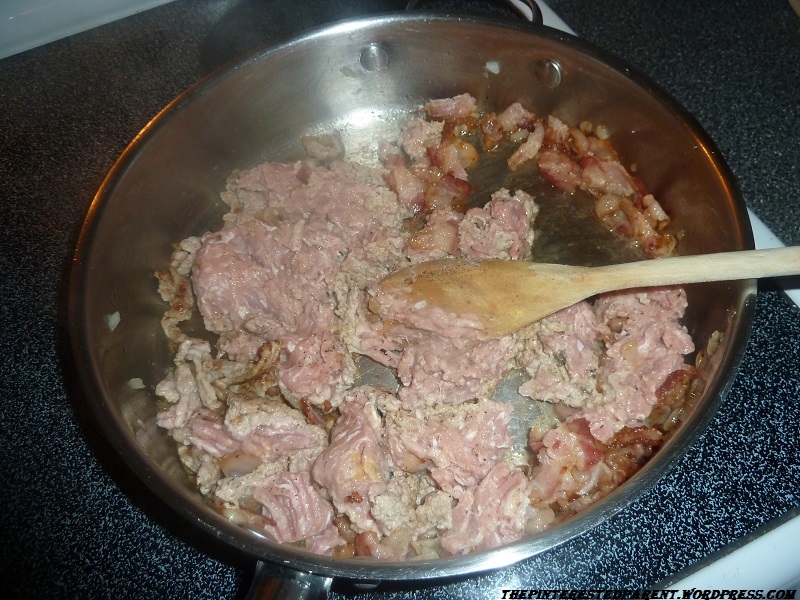 In a skillet add chopped bacon. Cook on medium heat about halfway through. 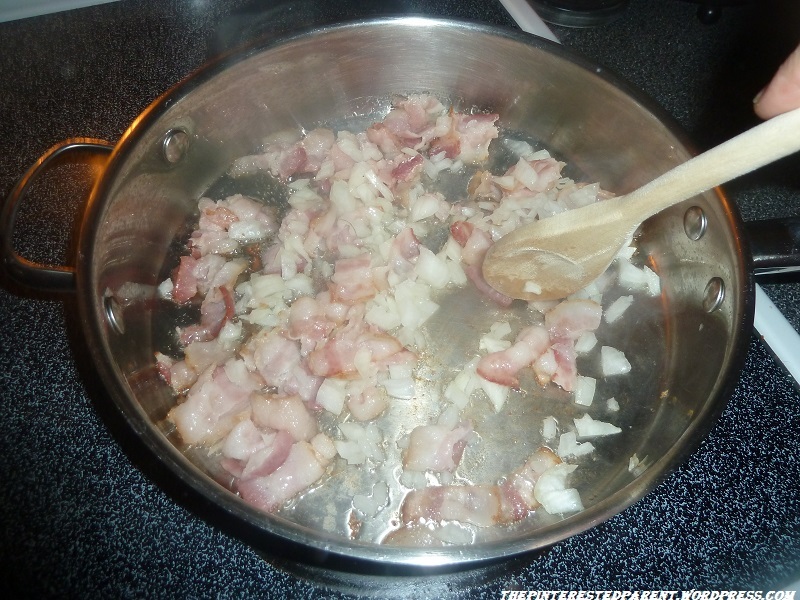 Drain the excess grease & add the onion & cook until bacon is crispy. Drain grease again. 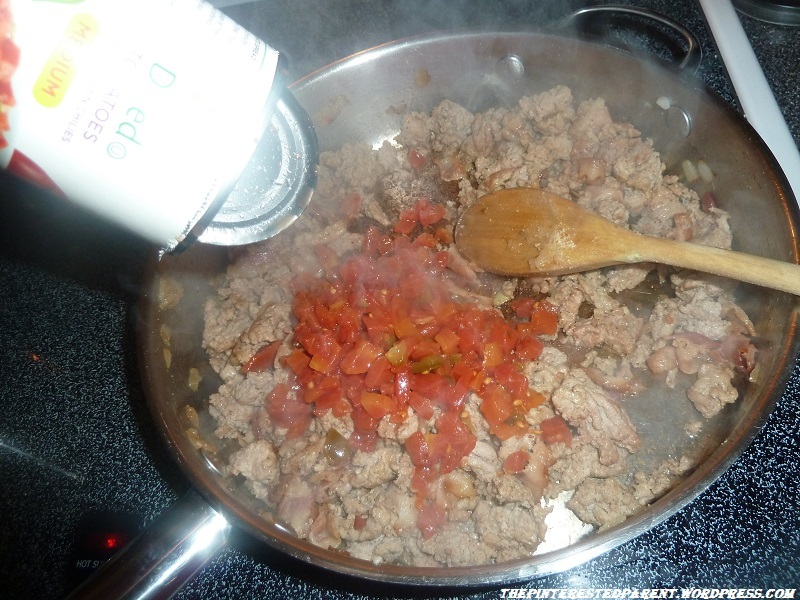 Add ground beef & spices. 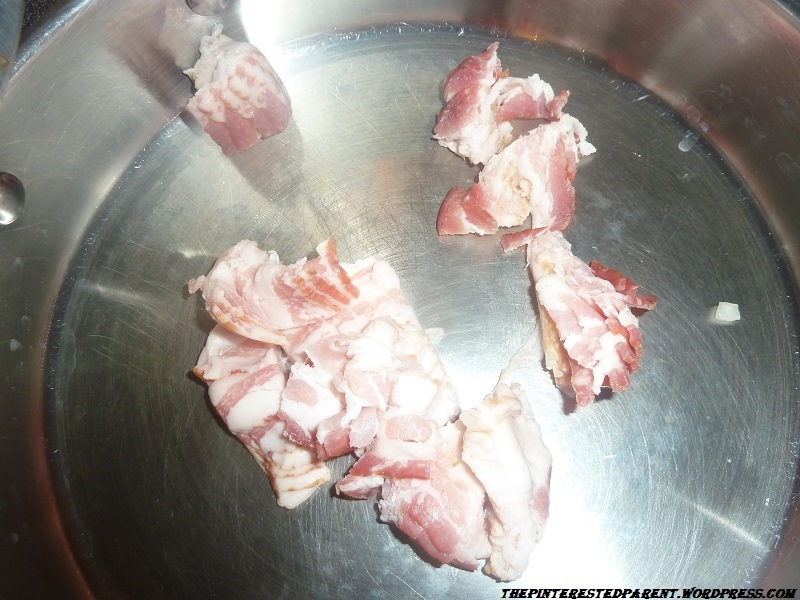 Brown the meat until fully cooked & drain. Turn heat down & add the diced tomatoes & ketchup. Stir well & add cheese to the top. 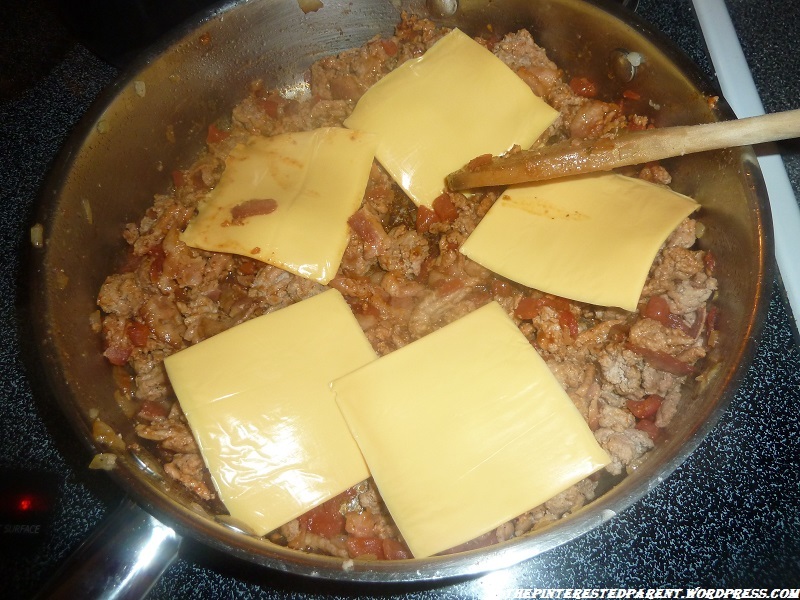 Once melted stir until the cheese is evenly distributed. 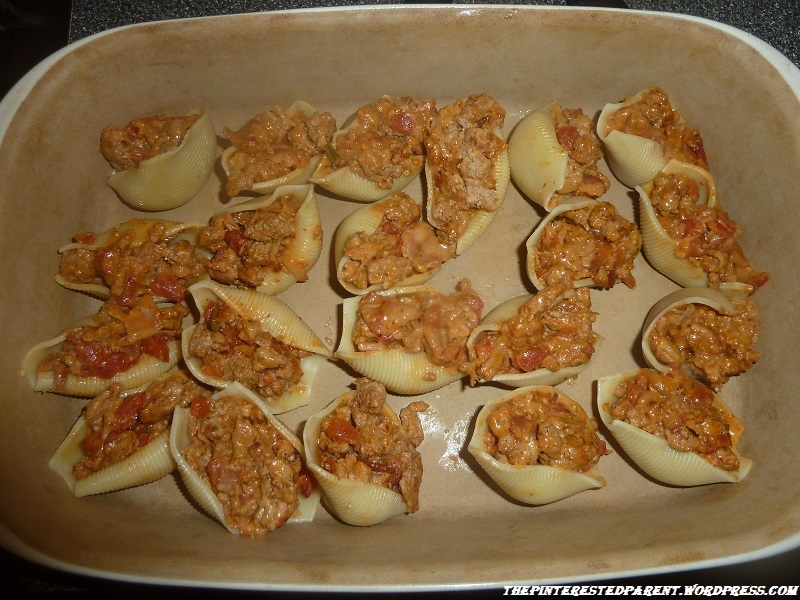 Stuff shells with meat mixture and place into a baking dish. Spoon the cheese sauce (see below) over the shells. Cover & bake for about 10-15 minutes. 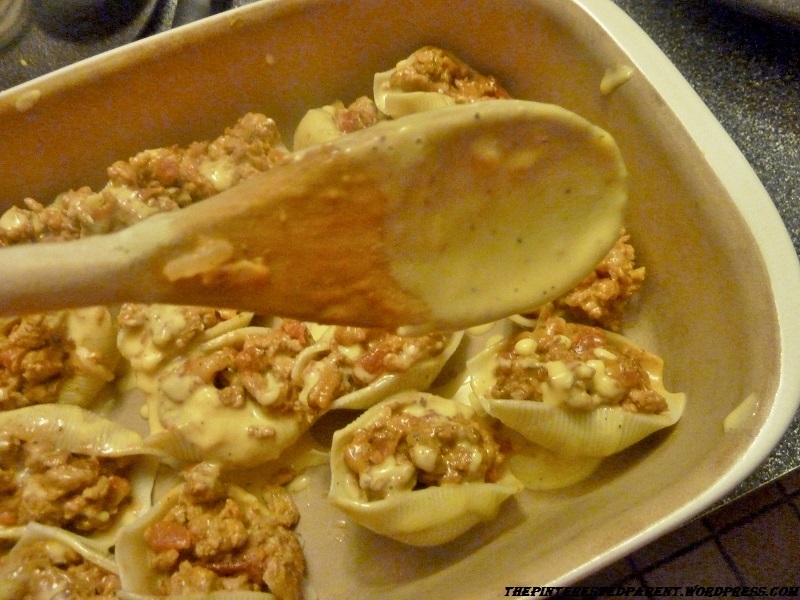 Easy Cheese sauce: Make the cheese sauce after stuffing the shells, as the sauce will thicken quickly. In a small saucepan, combine all ingredients over low heat & stir until sauce is smooth. I have to try it. My husband and kids love pasta. Found this via wow me wednesday – My husband is going to love this! Pinned & adding to the monthly menu. I bet the kids would like these! This definitely sounds like a yummy recipe for the meat lover in the family! It’s so creative! Thanks for sharing. This looks so good! I must try it! I think my son would love it! These look so good! I’ve never seen shells that large! I got to keep my eyes open for them in the store! Would love to make these! Wow, nice one! 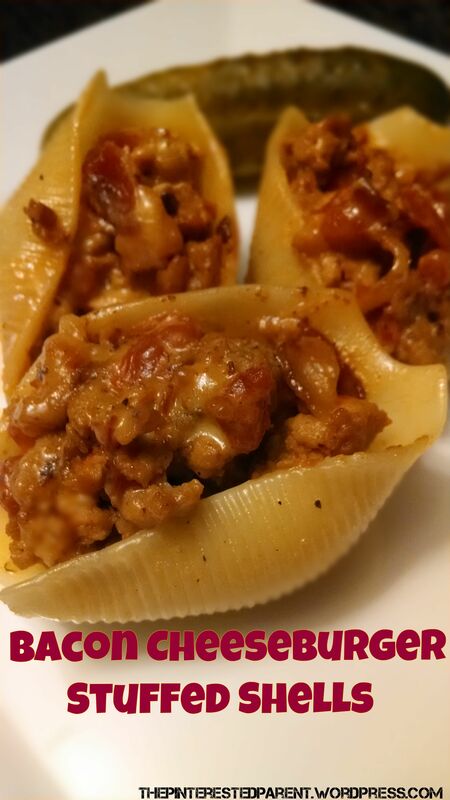 My kids would love cheeseburger stuffed shells, and come to think of it, so would I! I’m sure my kids would love this! I make my Enchilada Pasta by stuffing shells! I think my son would LOVE this since he is obsessed with cheese burgers. I have a friend that would LOVE these!! Totally going to have to share this recipe with them 🙂 Thanks so much for linking up at the MaMade Blog Hop! I hope you’re having an awesome weekend!